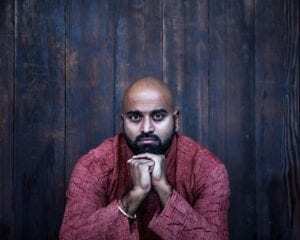 Rajiv Mohabir is an Indo-Caribbean American author of two acclaimed poetry collections — The Taxidermist’s Cut and Cowherd’s Son — and four chapbooks. He is winner of the 2015 Kundiman Prize, a 2015 PEN/Heim Translation Fund Grant, a finalist for the 2017 Lambda Literary Award in Gay Poetry, and has received fellowships from Voices of Our Nationʻs Artist foundation, Kundiman, The Home School, and the American Institute of Indian Studies language program. He received his MFA in Poetry and Translation from Queens College, CUNY and his PhD in English from the University of Hawai`i. Rajiv is current on staff at Auburn University in Alabama, GA.